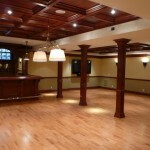 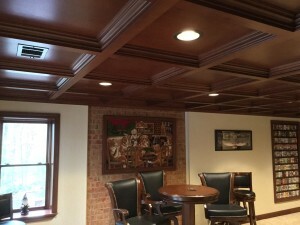 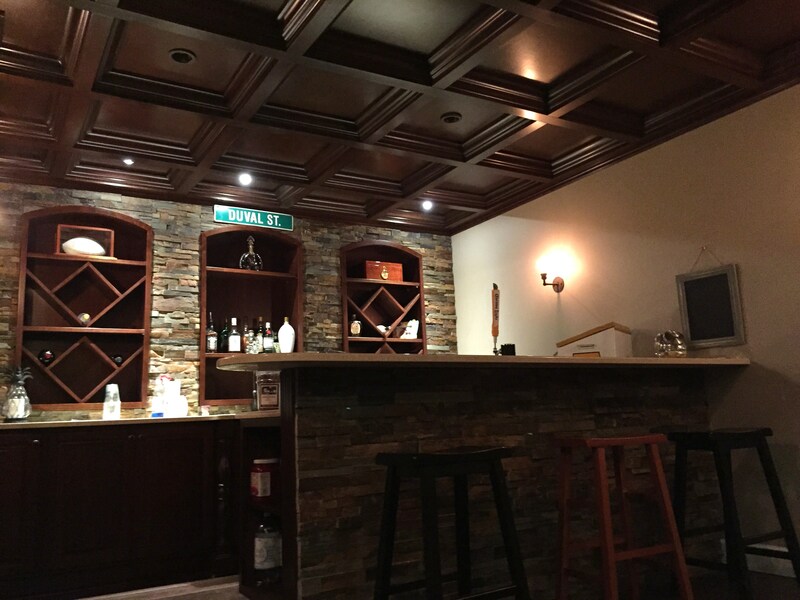 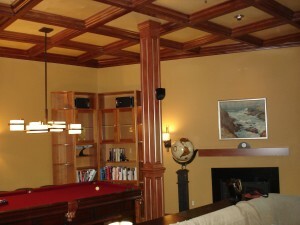 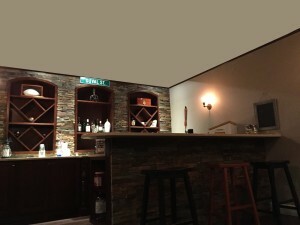 Basements/Bars/Game * WoodGrid® Coffered Ceilings by Midwestern Wood Products Co. 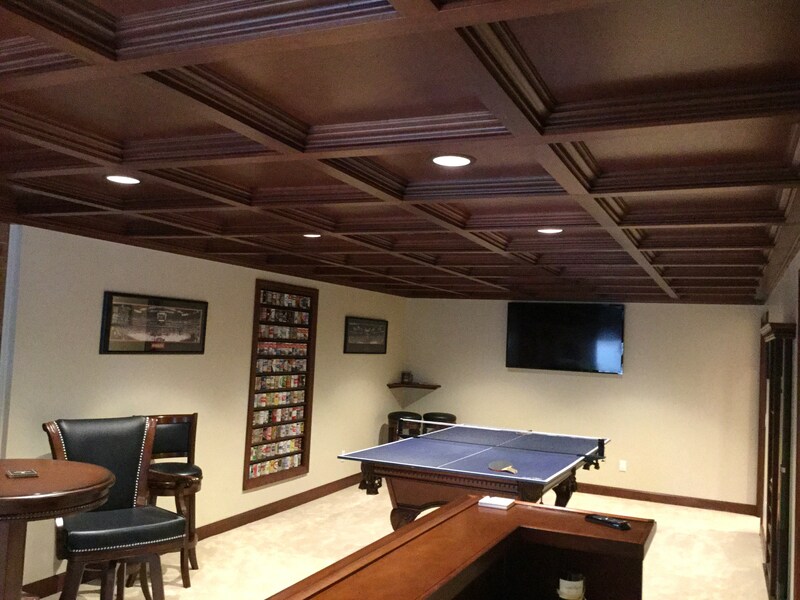 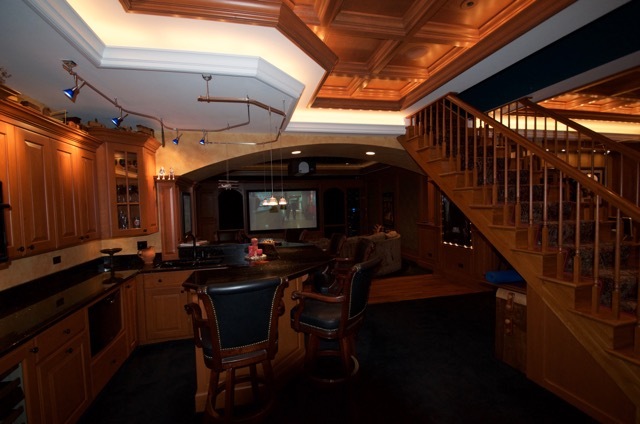 The latest trend in basements is the “Man Cave”. Many people are remodeling their basements to make them a “second home”. 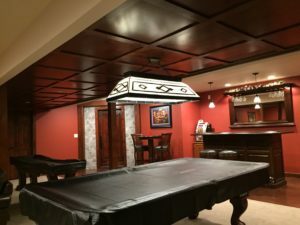 These spaces now include fun ameneties such as bars, gaming areas and big-screen TVs all in the same area, so people can enjoy being together while having access to different forms of entertainment. 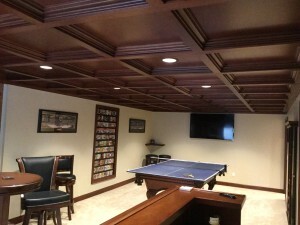 Flat panel style in basement with low ceiling.